All month long I have been featuring the best products available from direct sales consultants this holiday season. As I wrap up the 2018 Diva Holiday Gift Guide I am so excited to do it with a company started by one of our very own Divas. 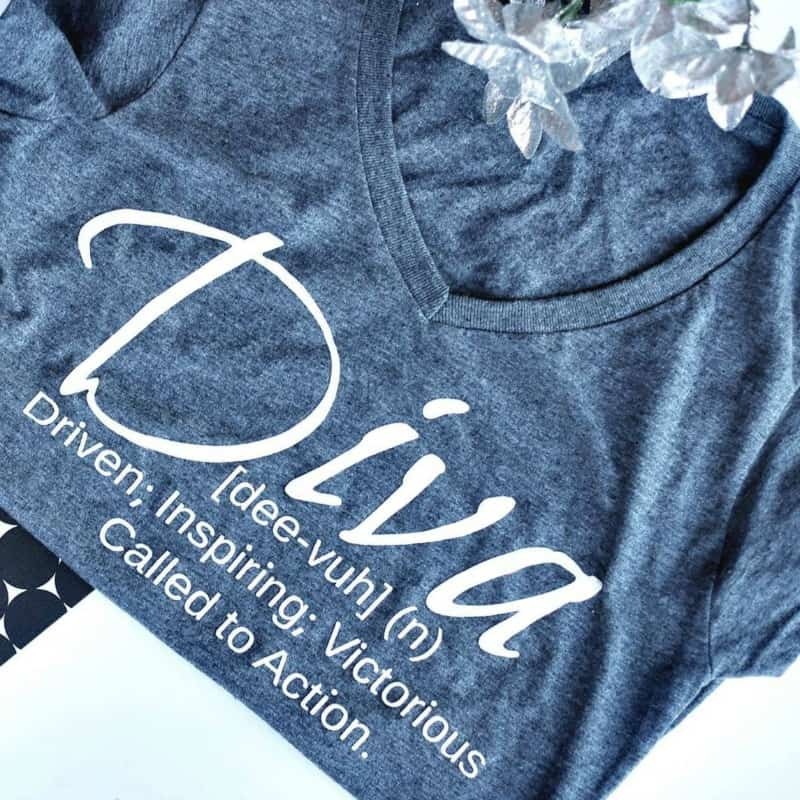 The Divatude Collection is a line of apparel and jewelry designed for women just like you! 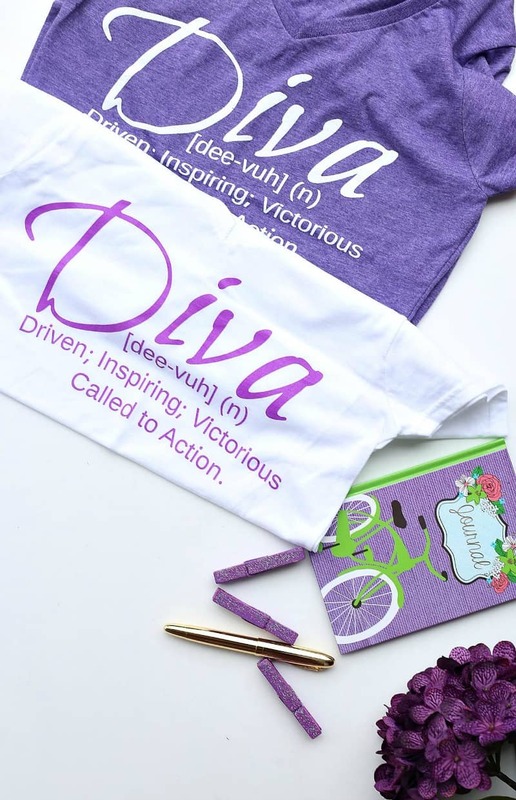 The Divatude Collection was founded by Michelle D. Garrett – a former PartyPlanDivas member now full-time Blogger, Women’s Empowerment Expert, Accountability Coach, and Speaker. 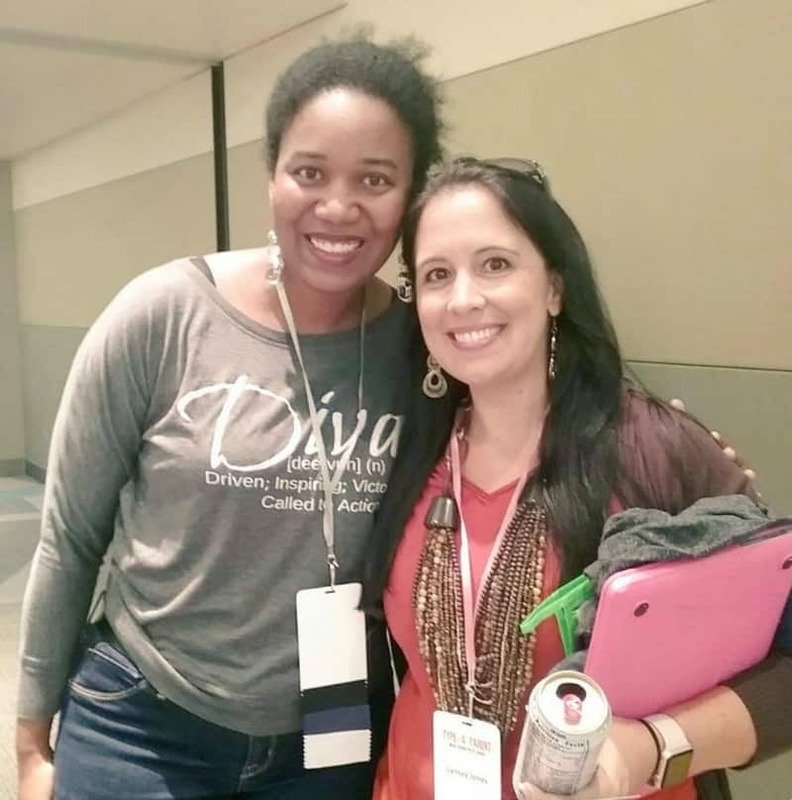 Michelle owns Divas With A Purpose – a training community and website for women wanting to take control of their lives and their futures – and need the support, encouragement, and direction to do so. Michelle explains that Divatude is about being Driven, Inspiring, Victorious and called to Action. She wants women to face their fears and push beyond their self limiting beliefs to achieve even their wildest dreams. Michelle and I have been friends for years, and I can say that everything about her exemplifies Divatude! I was so excited when Michelle read about the Diva Holiday Gift Guide and offered to participate with a product I know every Diva would want! 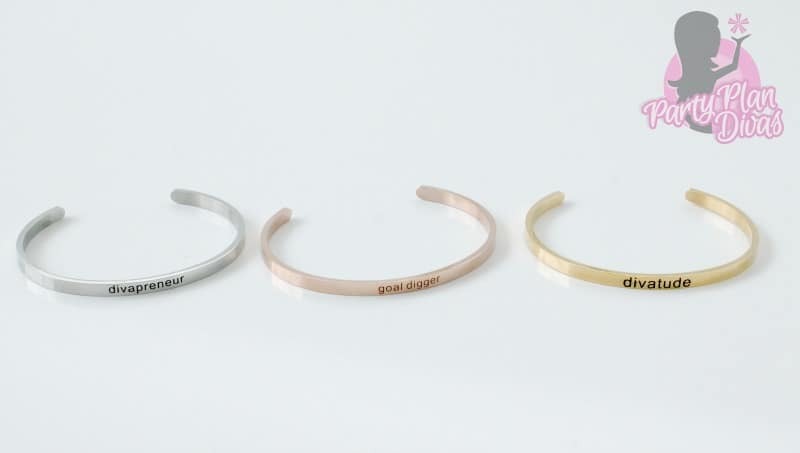 The Diva Defined Cuff Bracelets are a set of three multi-toned bracelets with an inspiring message on each one. 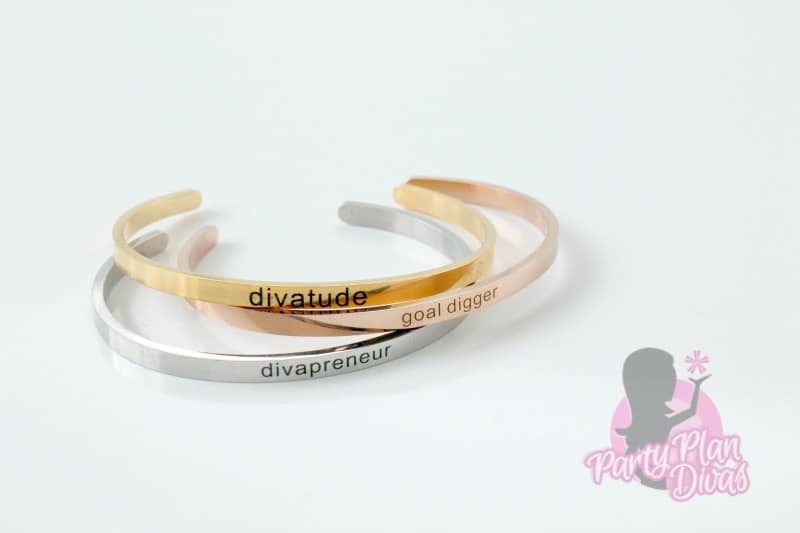 They can be purchased separately or together as a set and showcase your Divatude (gold); Divapreneur spirit (silver); and Goal Digger mentality (rose gold). The Diva Defined Cuff Bracelets are hypoallergenic and made of stainless steel so you or your favorite Diva can wear them for years to come! I LOVE seeing a little glimmer of inspiration every time I glance at my watch, and love the little jingles they make as I am going through my day. Check out The Divatude Collection to see everything Michelle has to offer to help you feel inspired and excited about all of life’s possibilities. 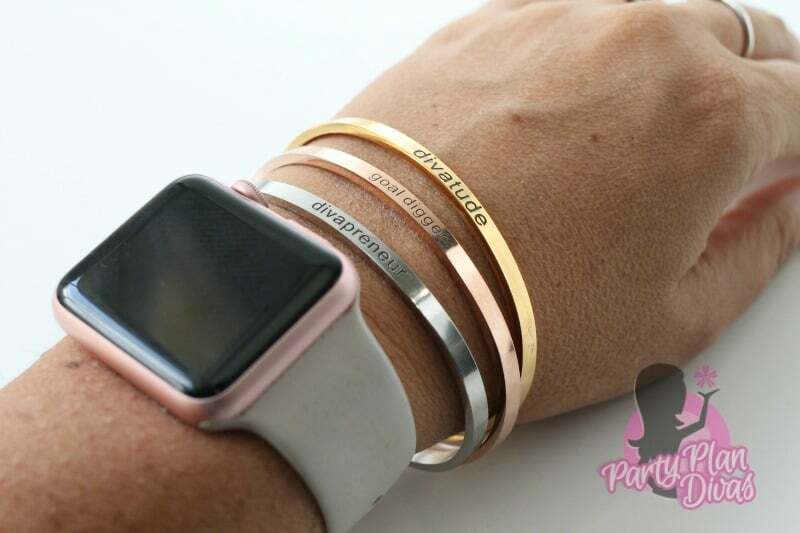 I am so excited to offer one of my amazing readers your very own set of Diva Defined Cuff Bracelets from The Divatude Collection Founder Michelle Garrett. You can enter using the RaffleCopter widget below! Good luck!